Paul Herring founded Just Factoring to add value, simplify and provide alternatives for businesses searching for funding. Paul has been involved in business finance and factoring for many years. He has worked extensively with private investors, restructuring businesses, developing new products and acquiring new customers. He has firsthand experience and understanding of how cash flow impacts on a company’s survival and growth strategies. Knowing the lenders is critical. Lenders regularly visit Just Commercial Finance offices to present their products and explain lending criteria in more detail. 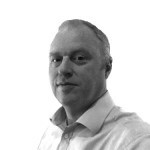 In addition to Just Factoring Paul is the Managing Director of an Outsourced Sales company, generating B2B sales leads and opportunities for clients such as BOC and Travelodge. CRM systems developed here have been adopted by Just Factoring to maintain and review the key providers of invoice finance and asset based lending. Importantly, JustFactoring is independent of any lender or accountancy/insolvency practice. Consequently we can, and do, work with the entire range of funders. Please give us a ring to find out why this matters.